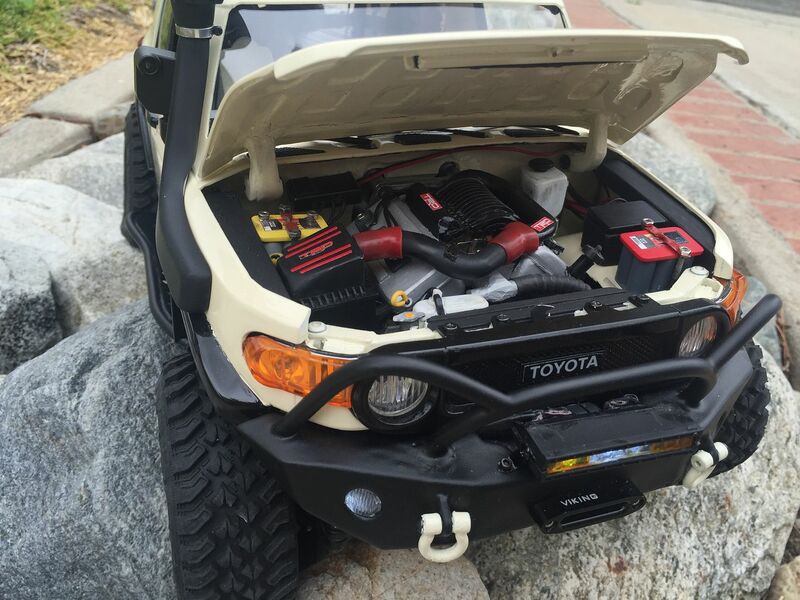 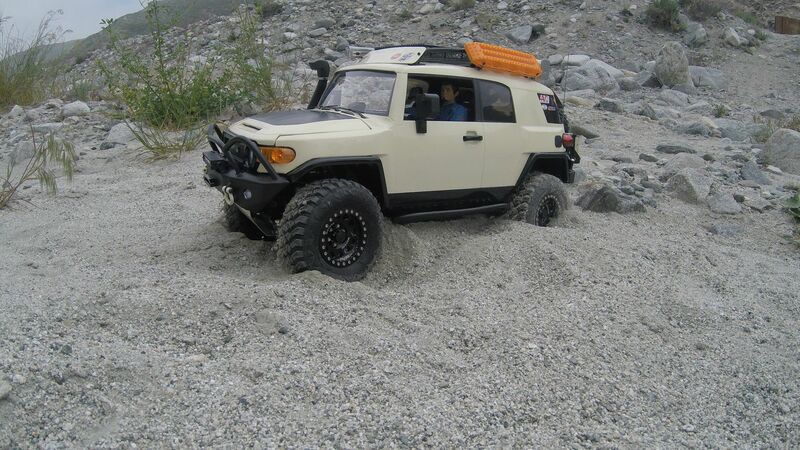 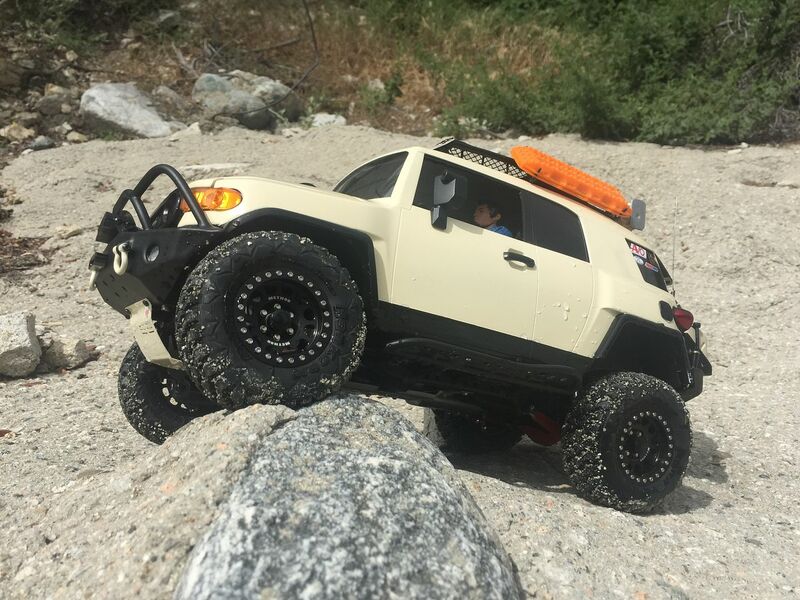 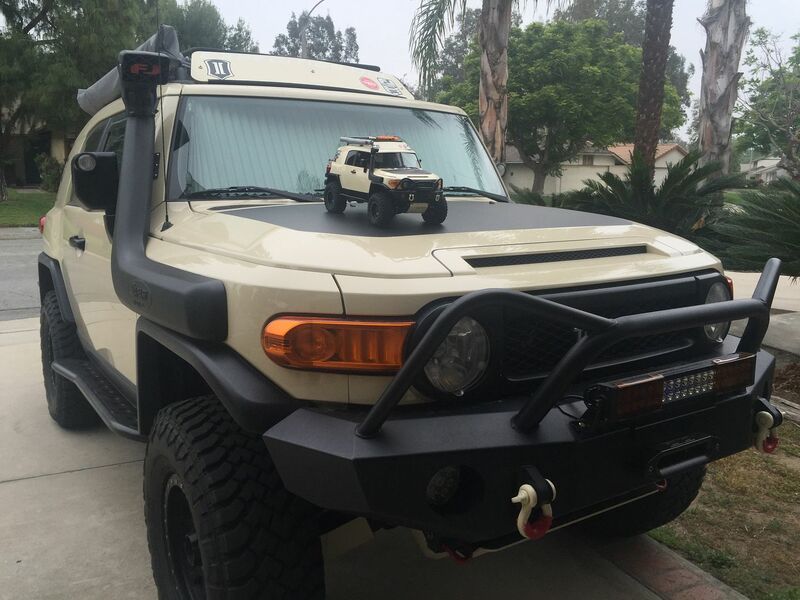 This build is a replica of my 2010 Fj CruiserTrail Teams. 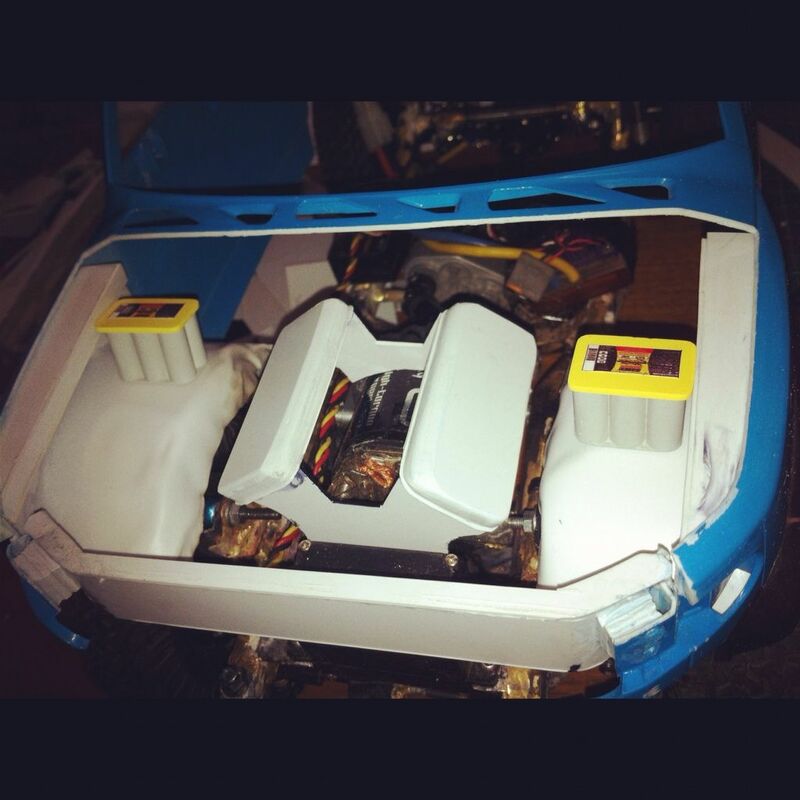 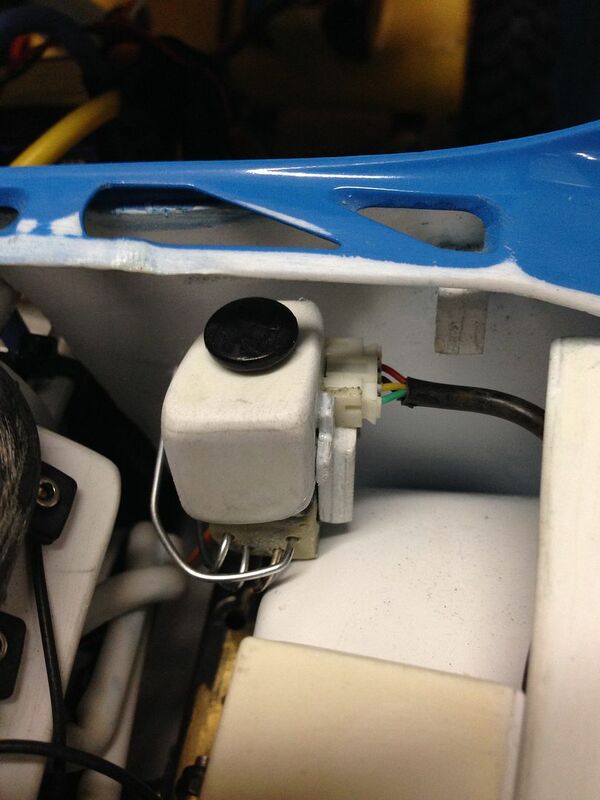 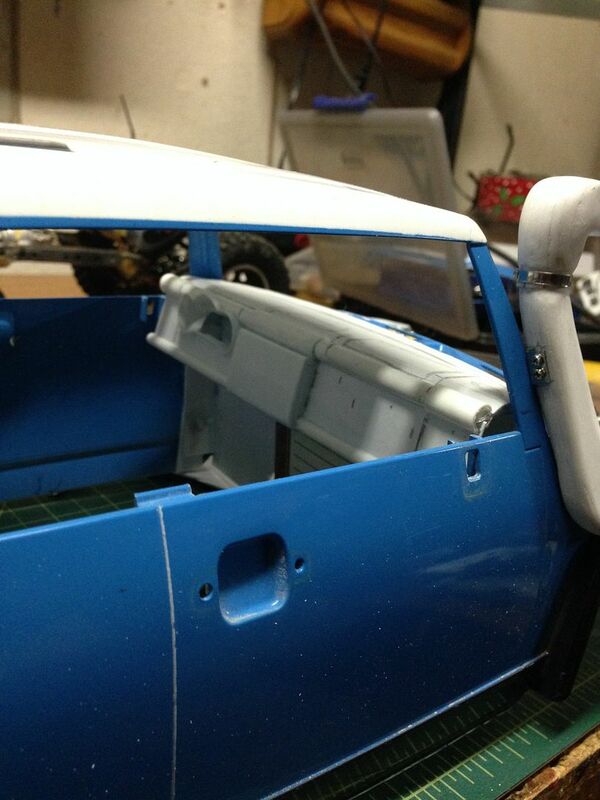 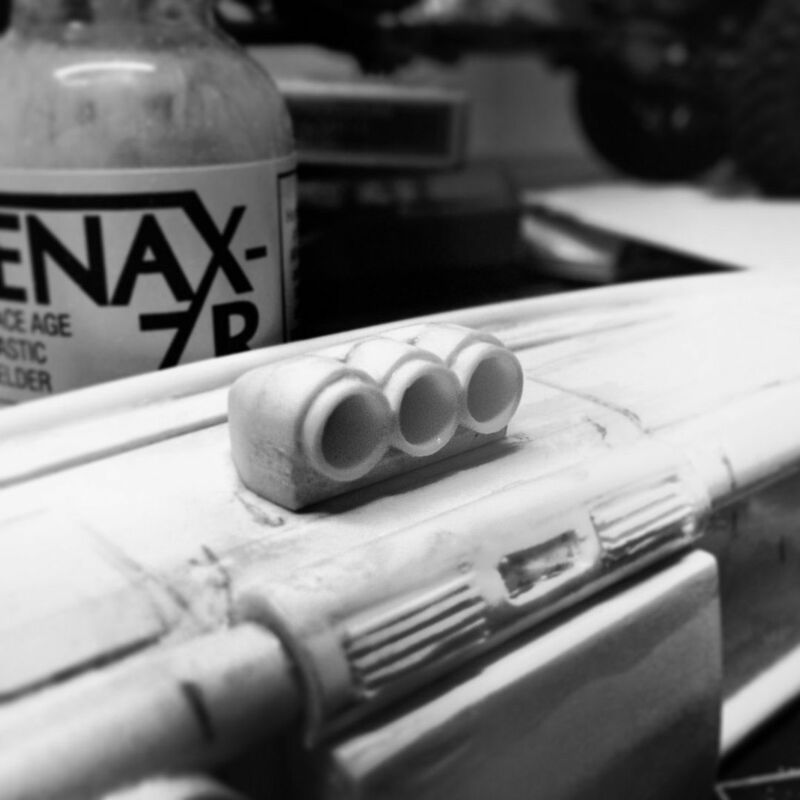 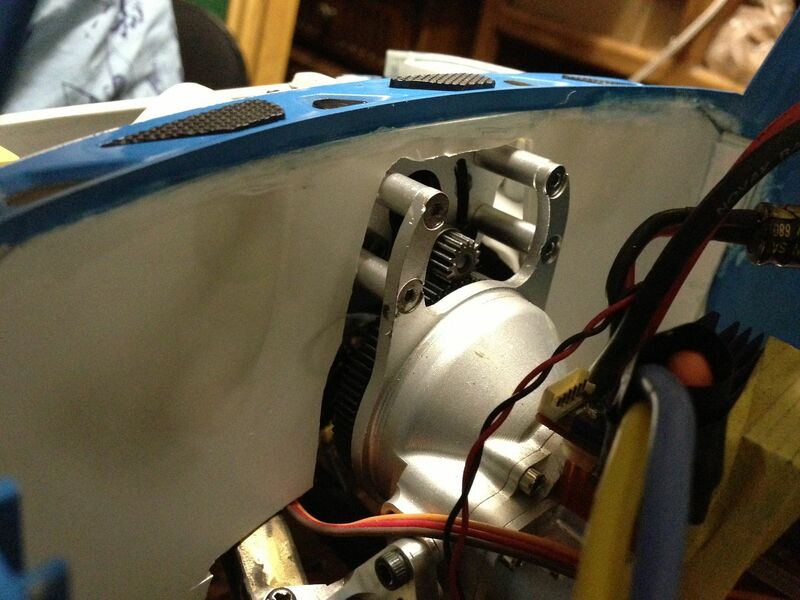 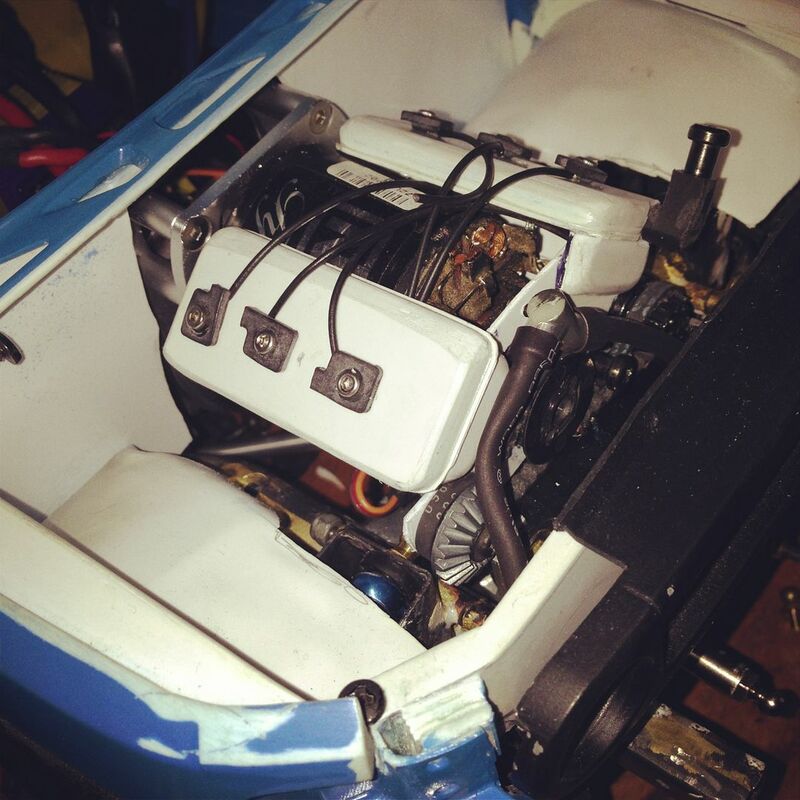 Scratch built interior and engine bay from styrene. 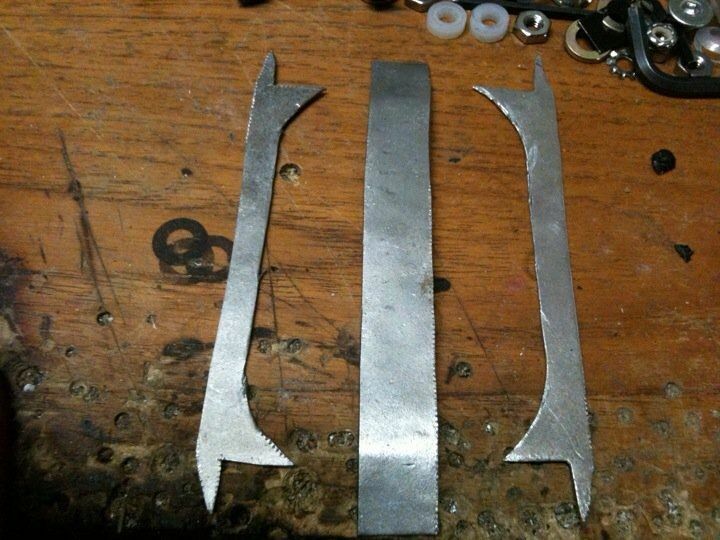 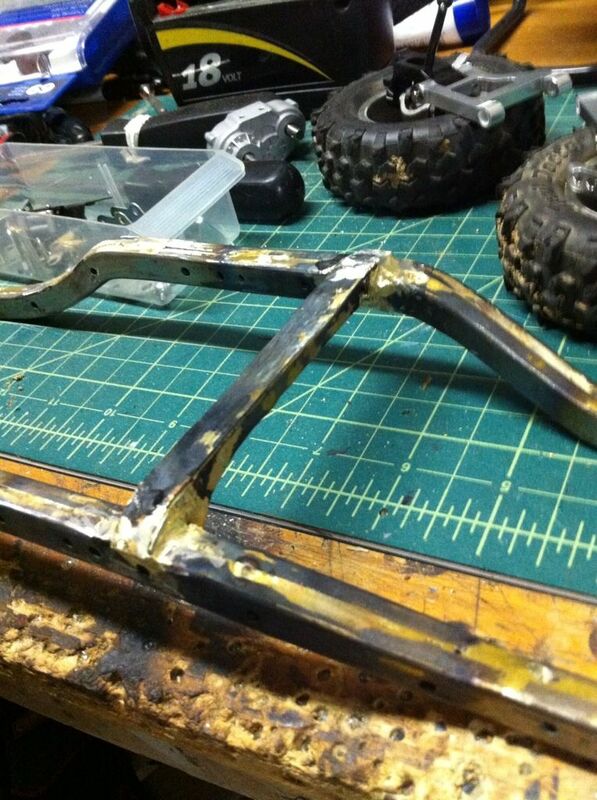 Scratch built front bumper, rear bumper, sliders and skid plates from 3:16 brakeline and 22gauge steel plate. 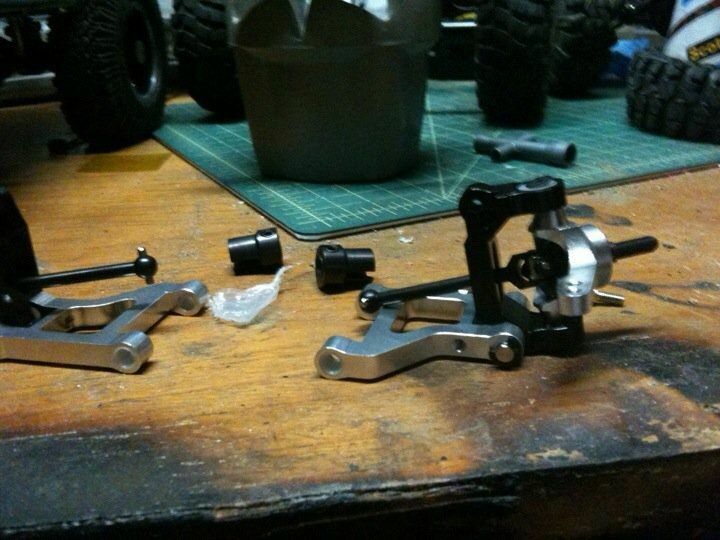 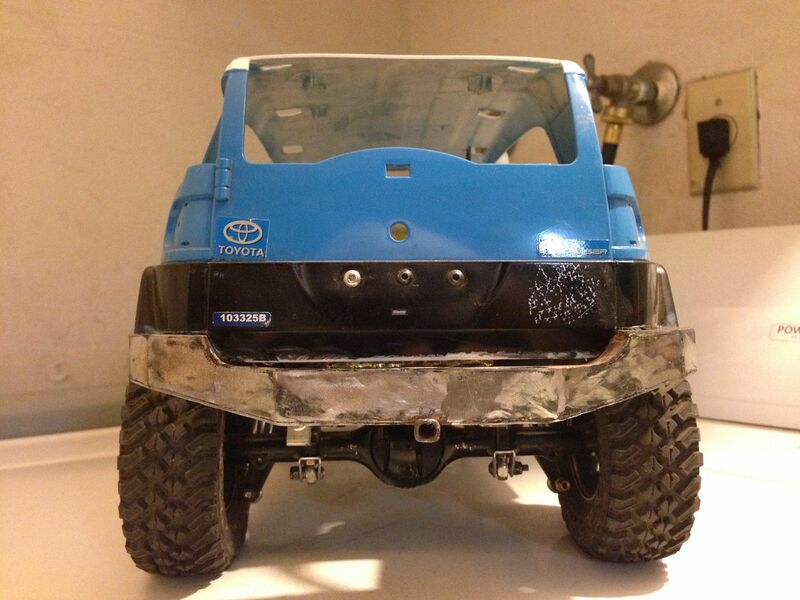 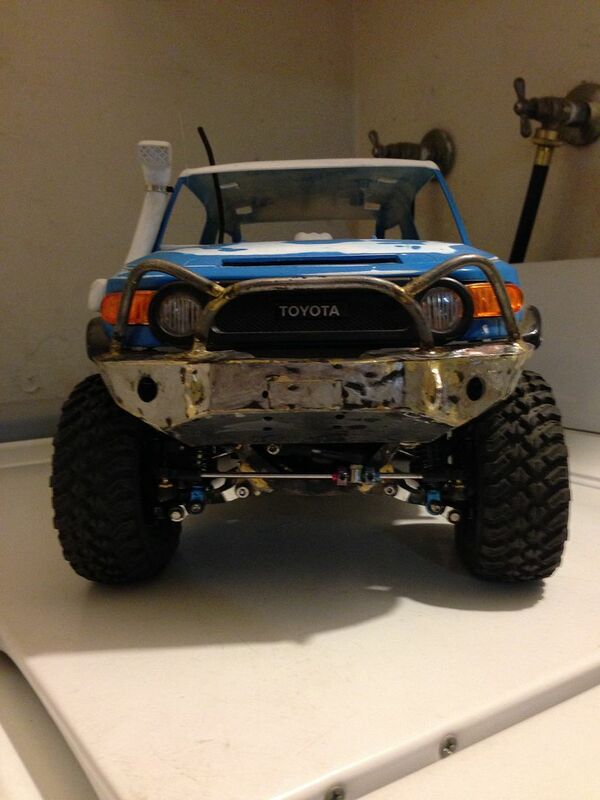 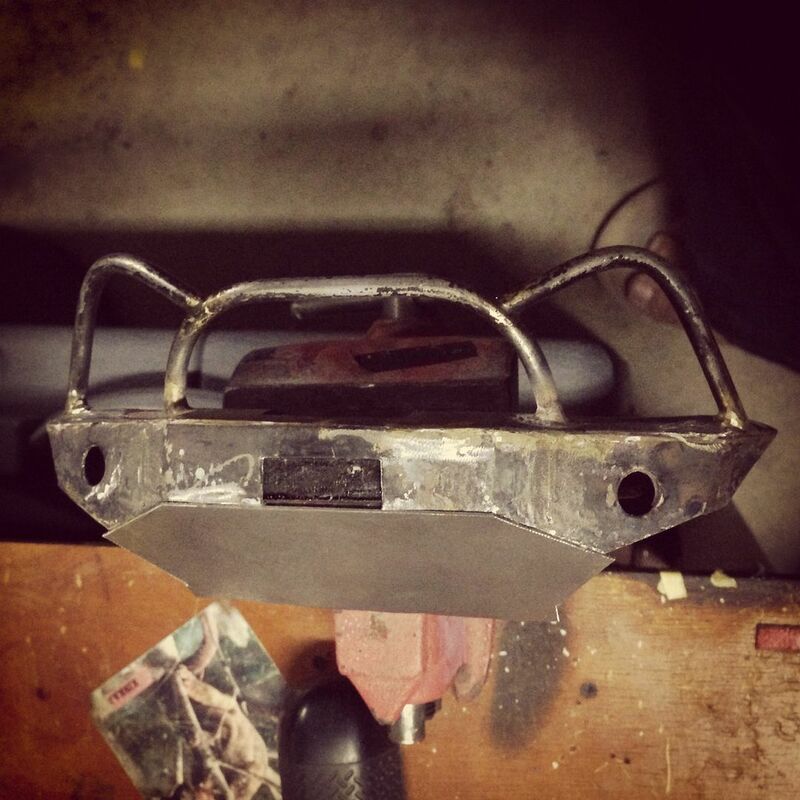 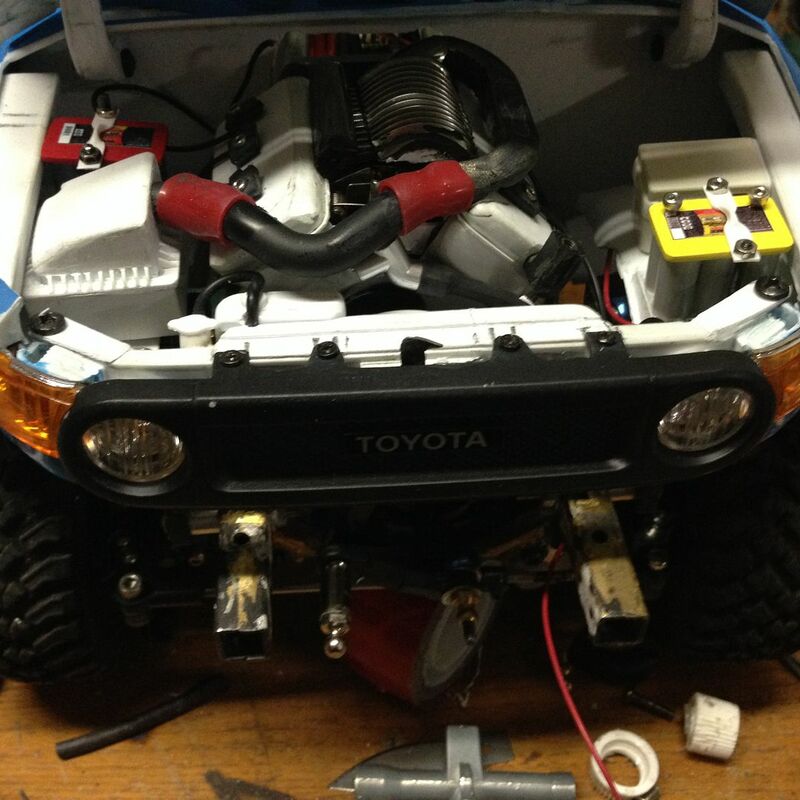 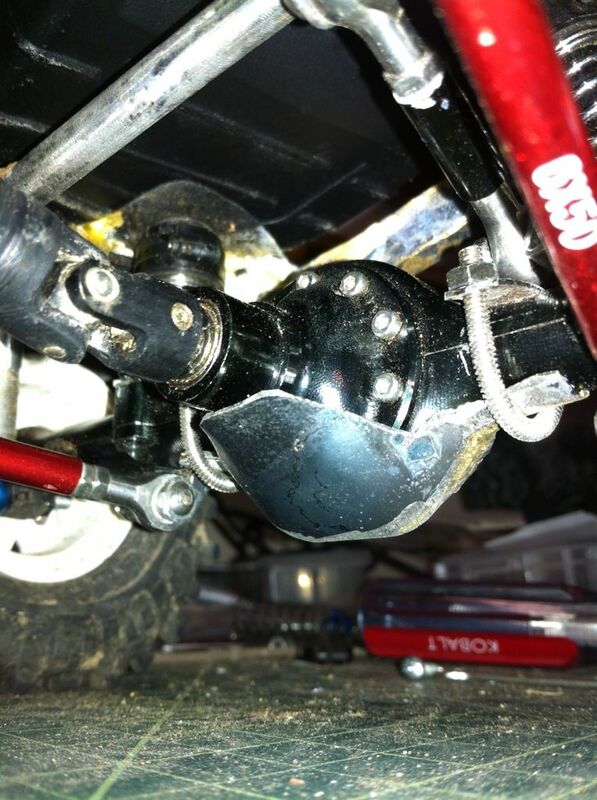 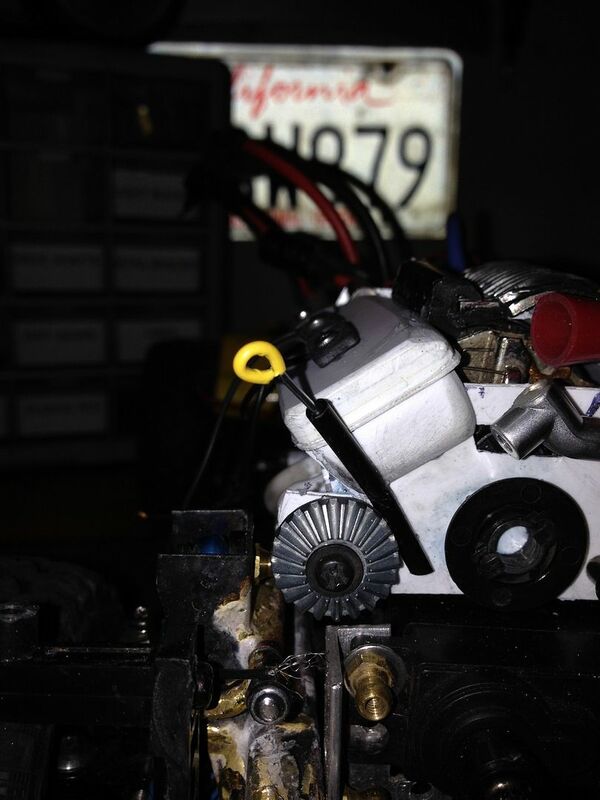 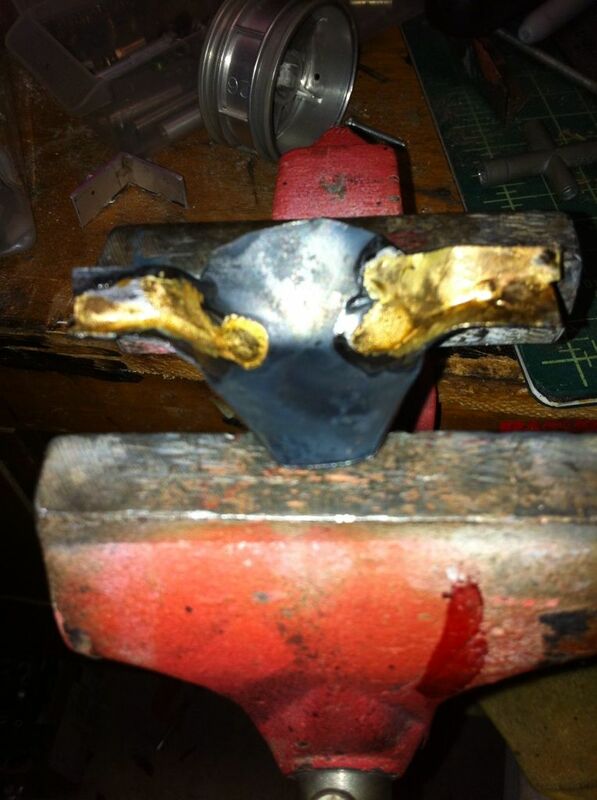 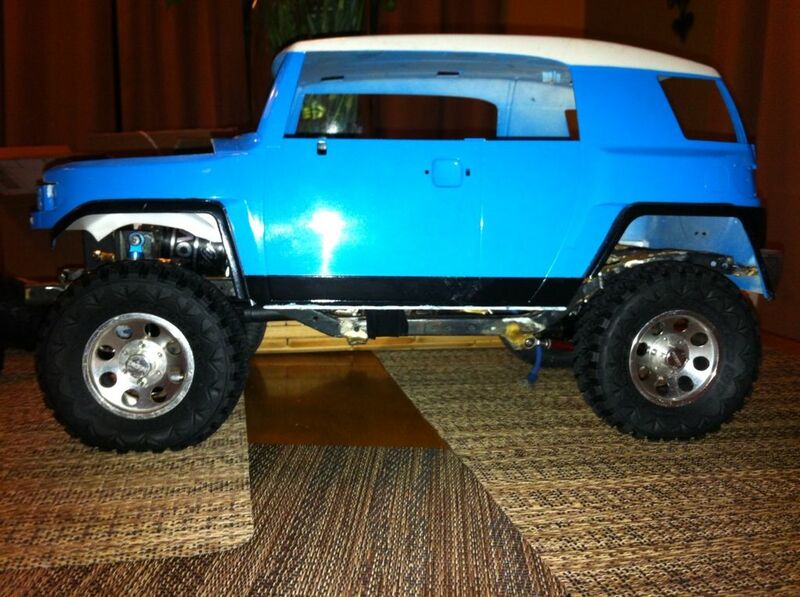 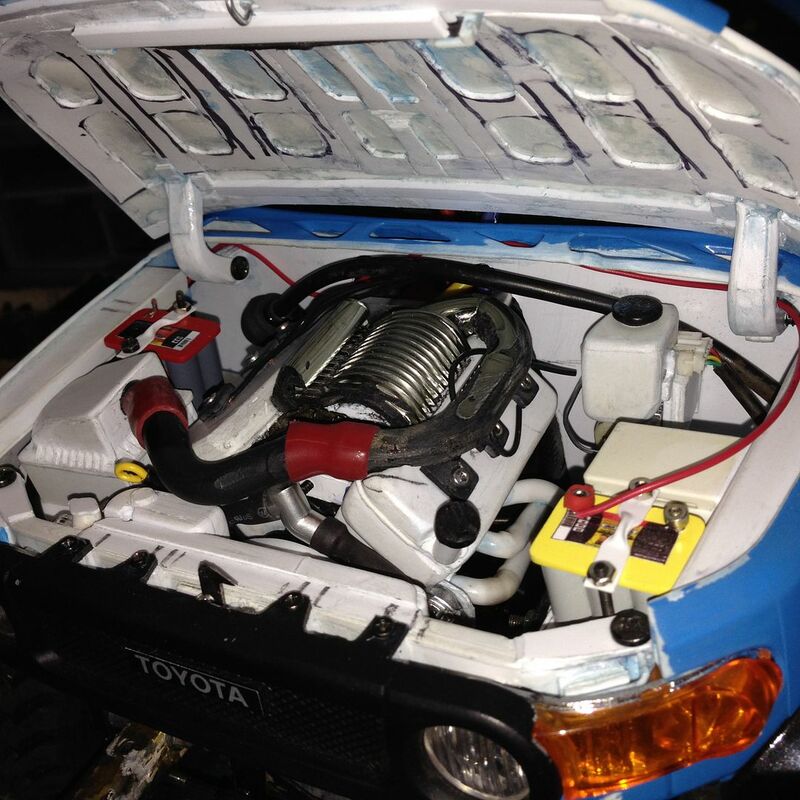 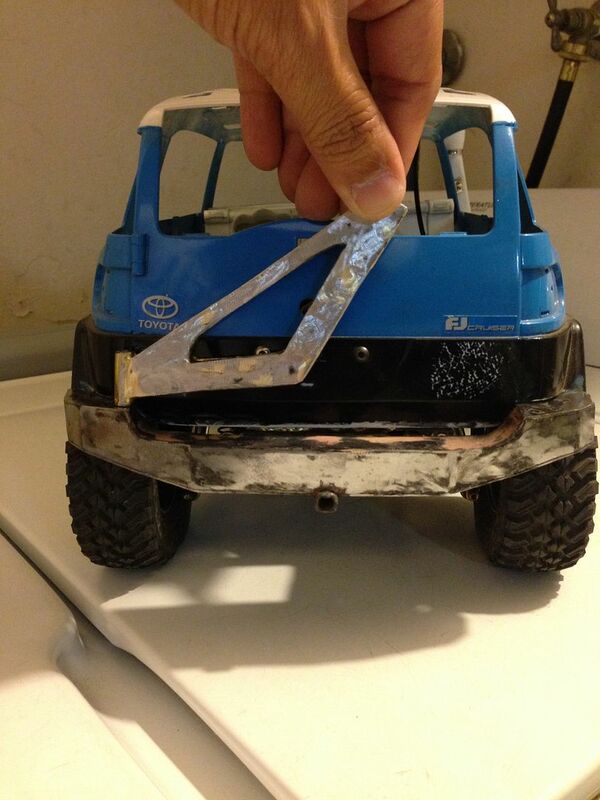 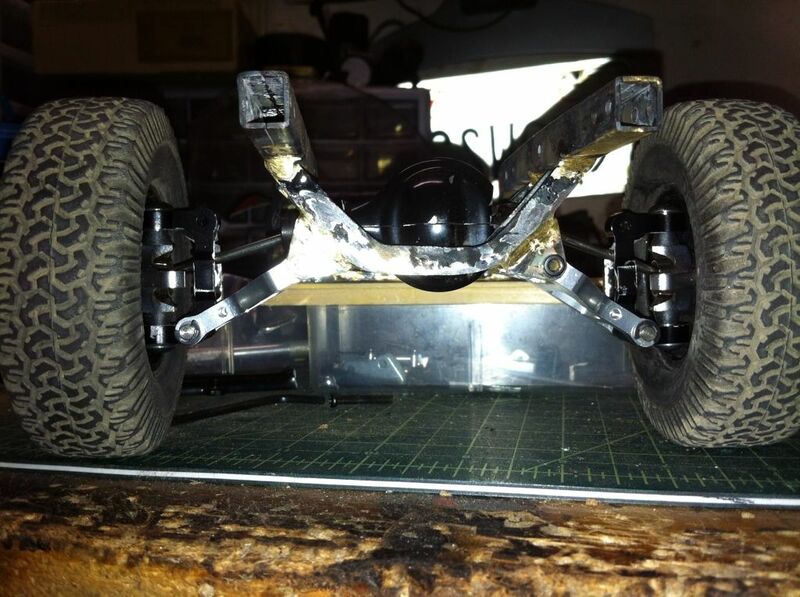 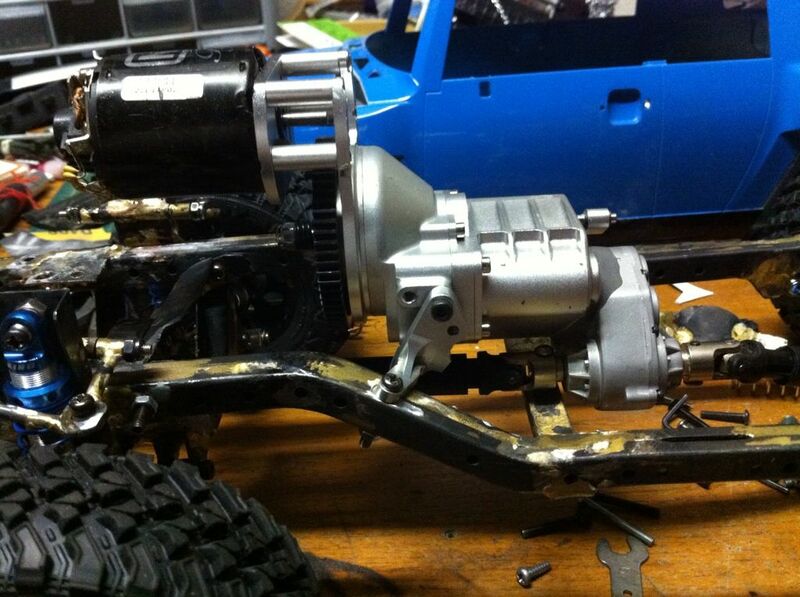 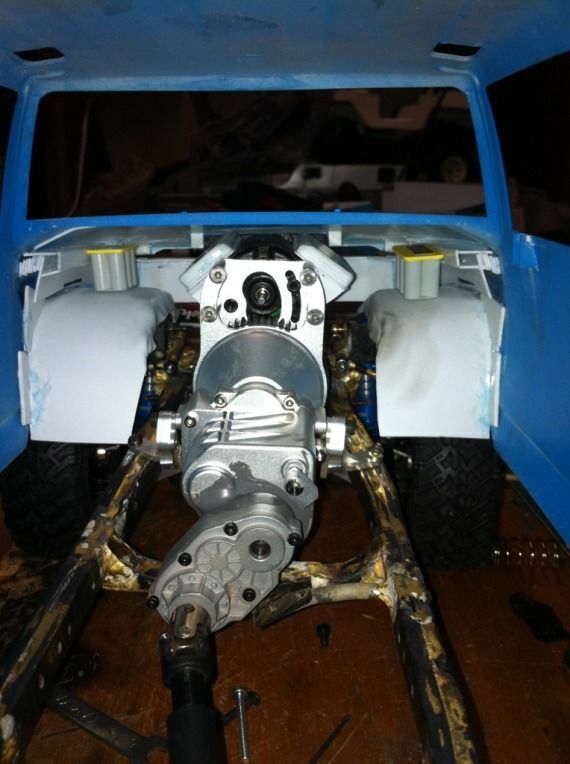 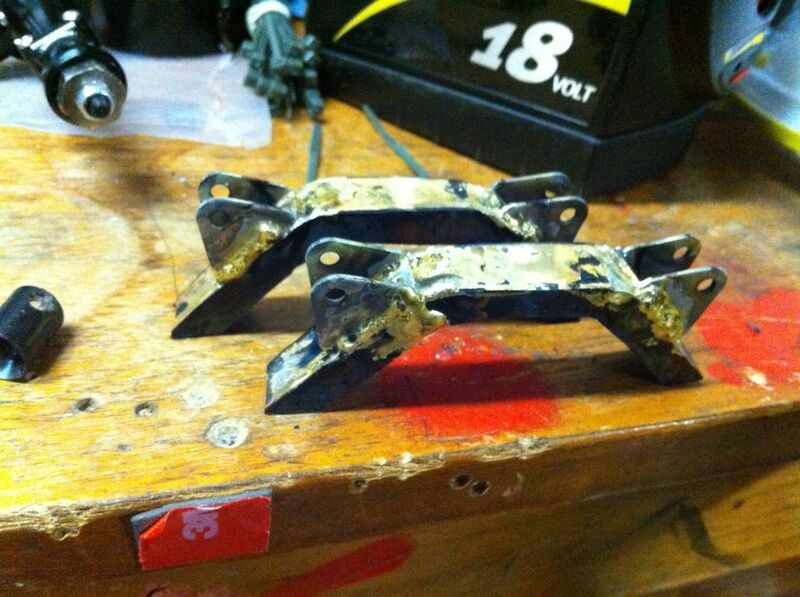 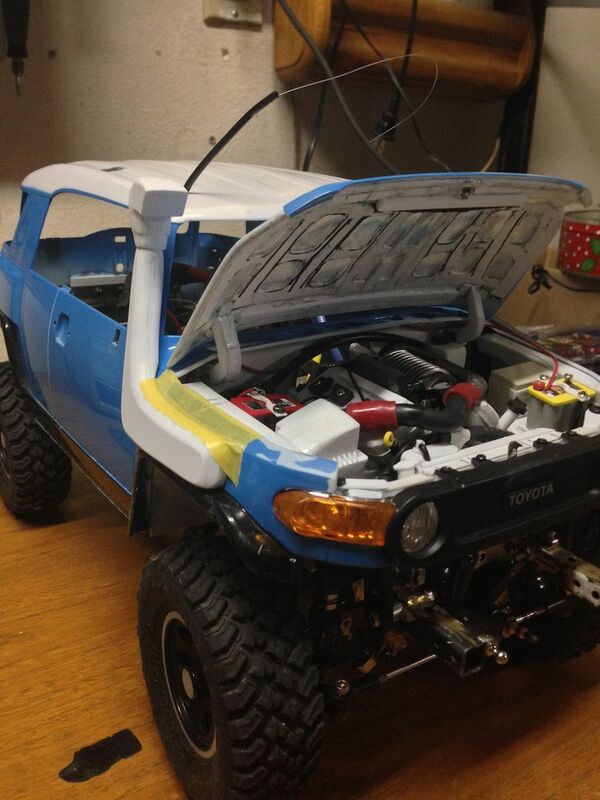 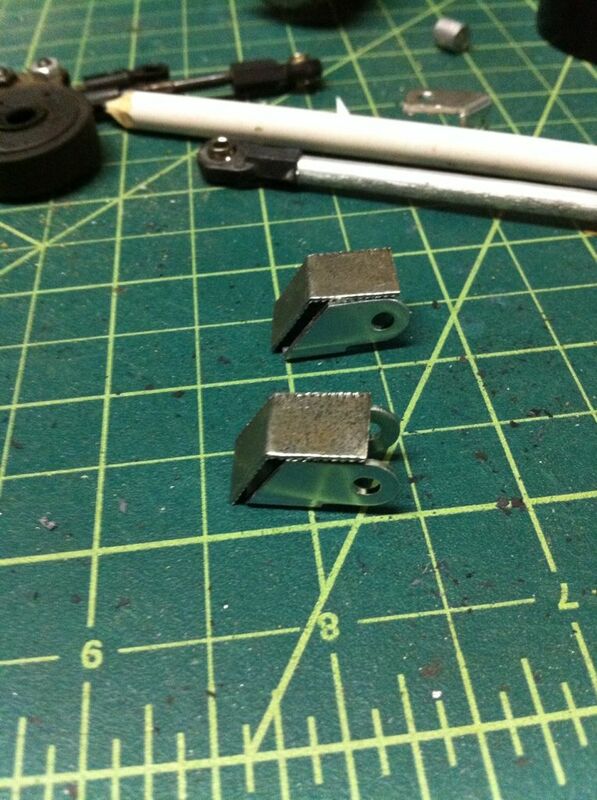 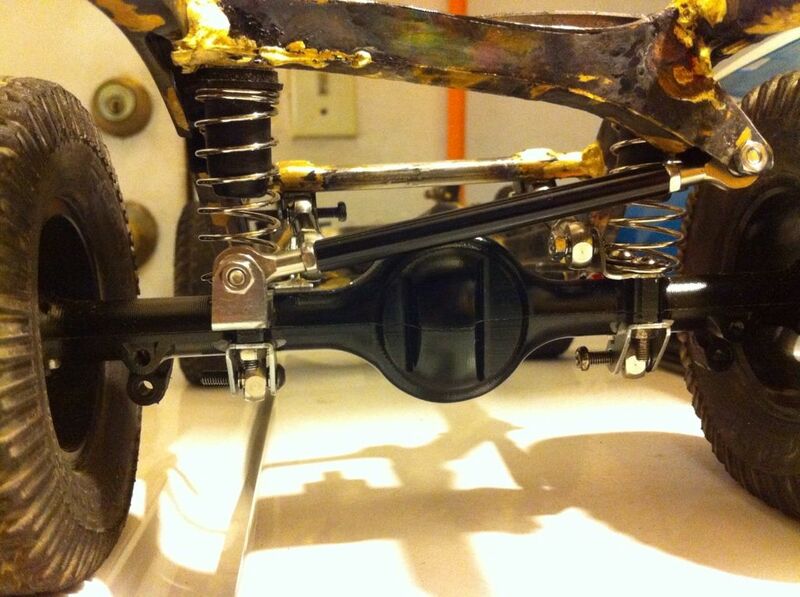 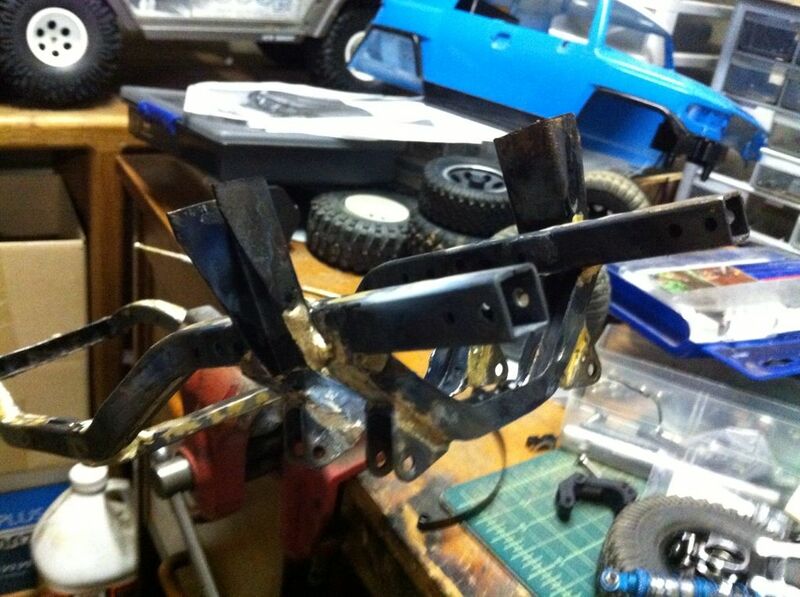 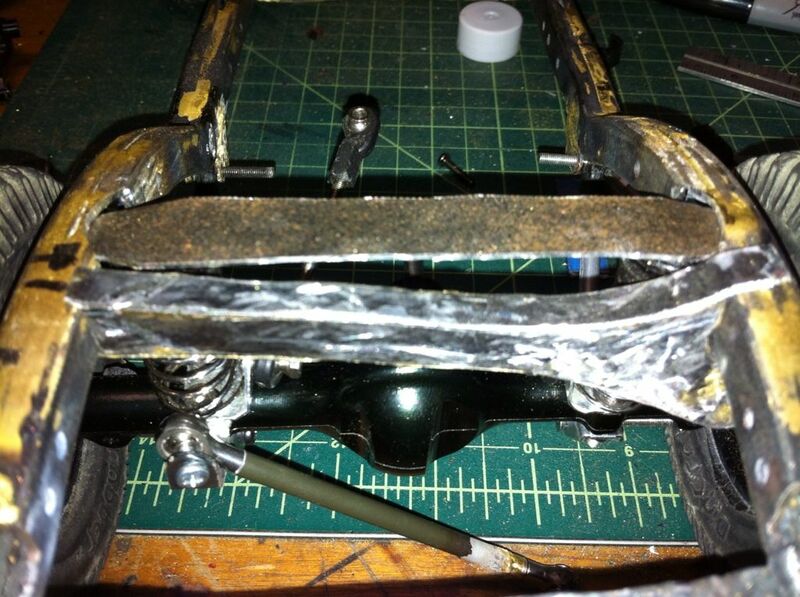 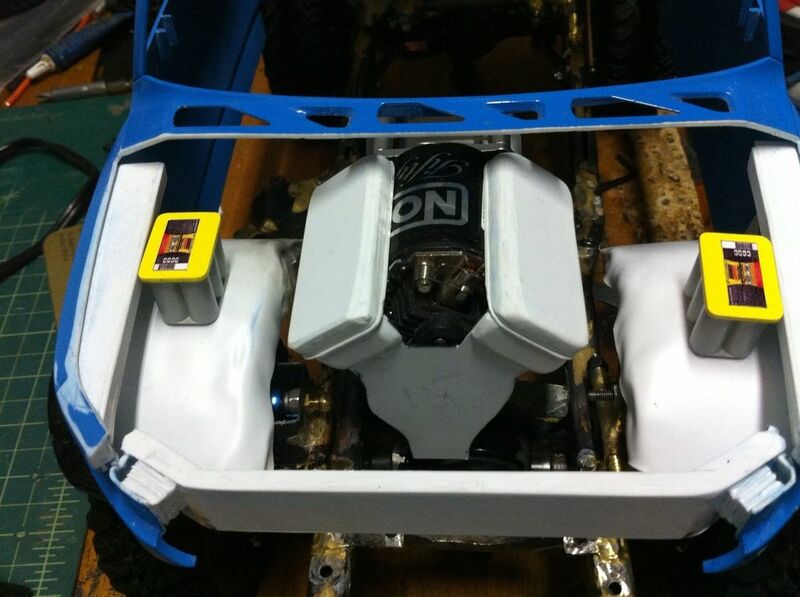 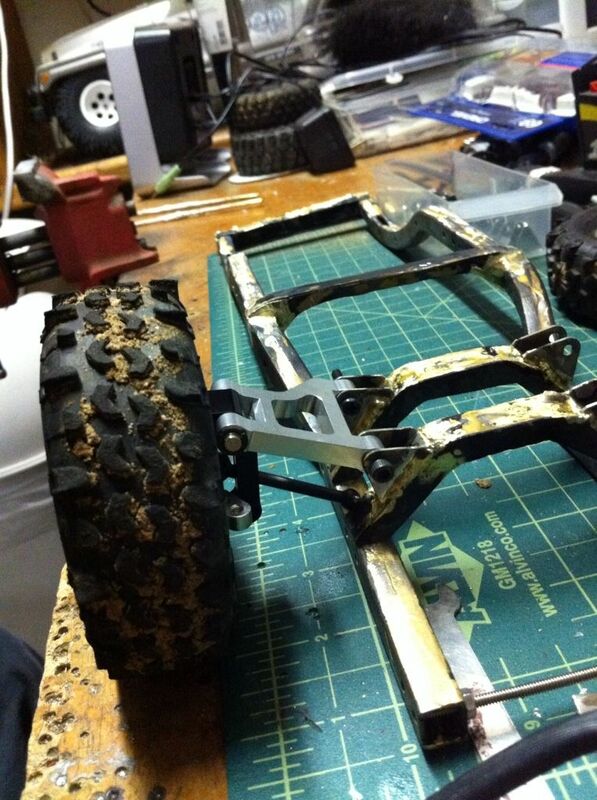 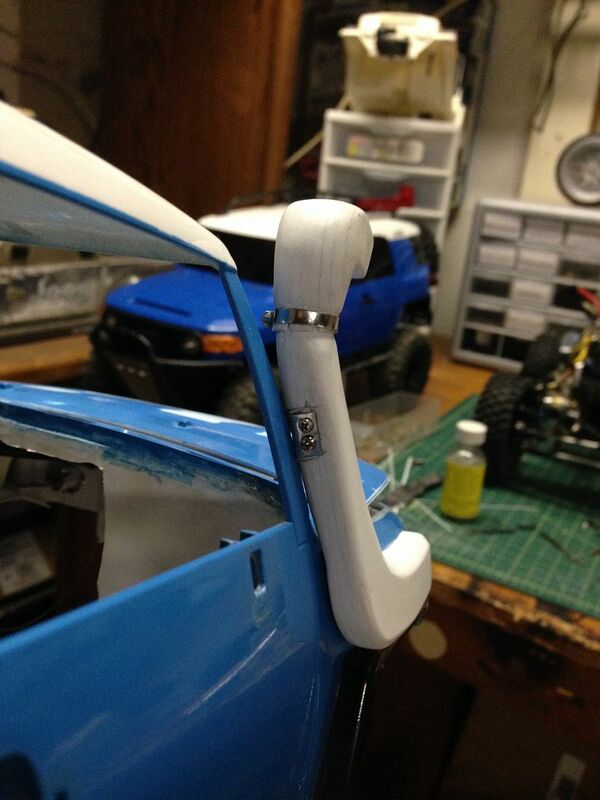 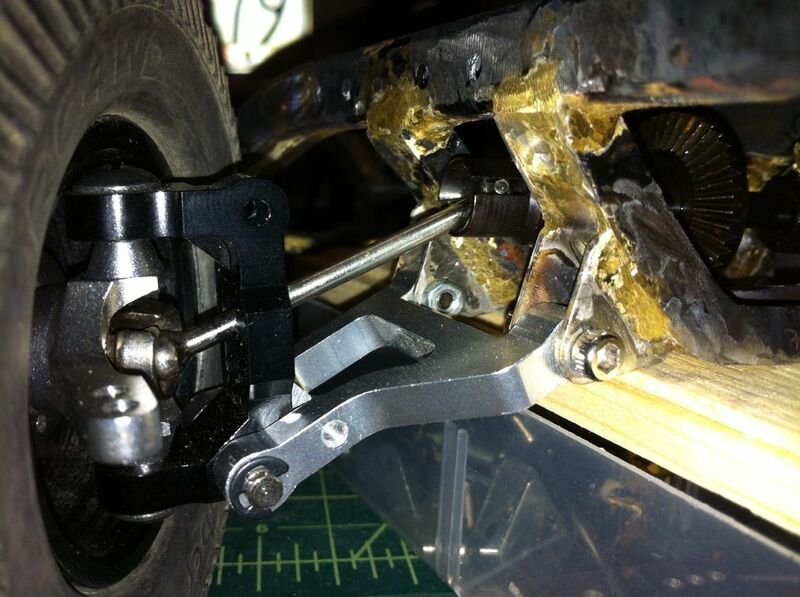 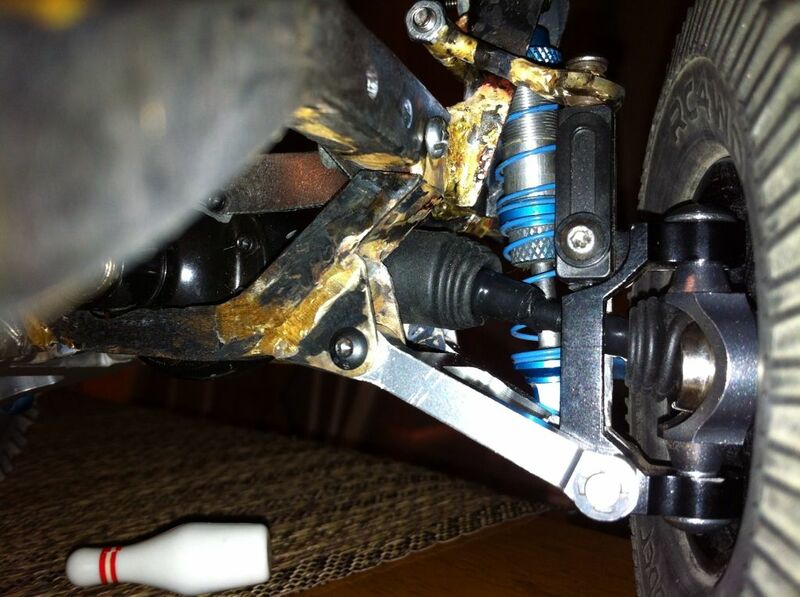 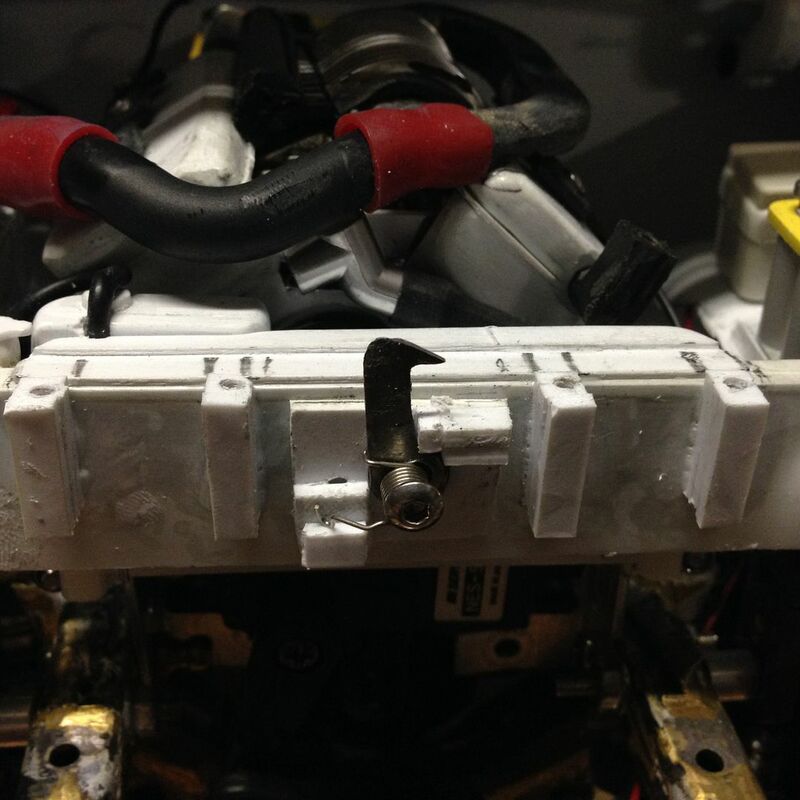 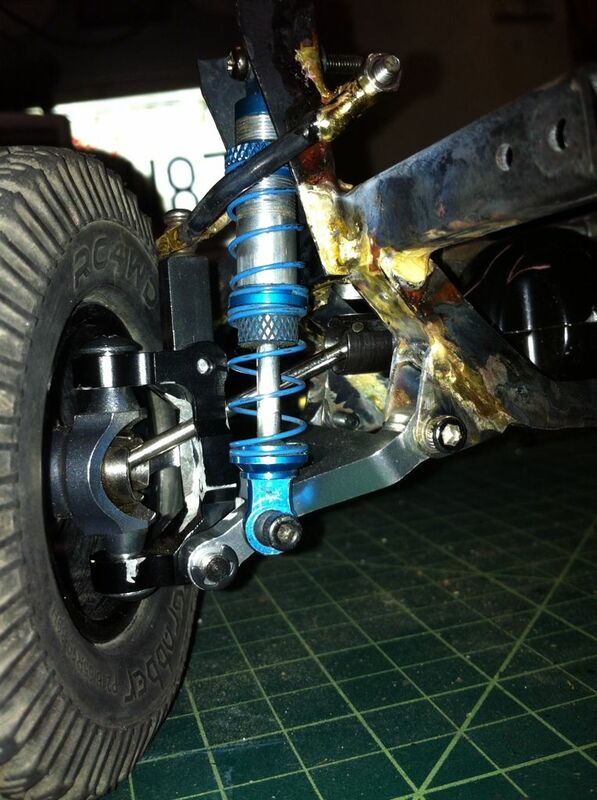 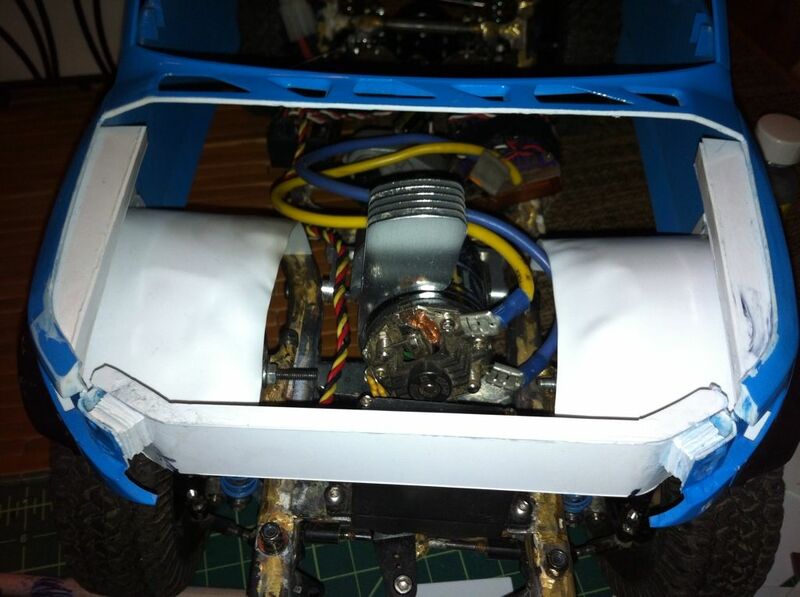 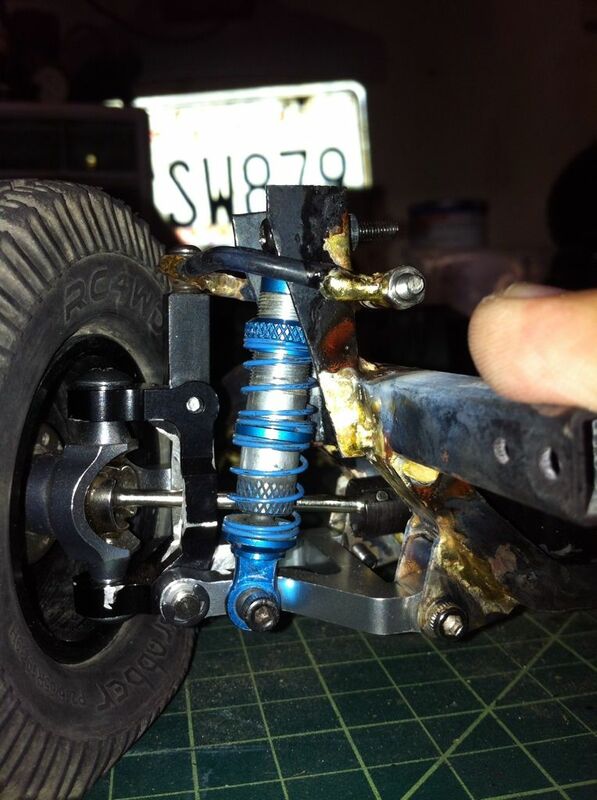 The FJ has a box chassis which i copied using 2 sets of scx10 chassis with a lot of brazing and hammering. 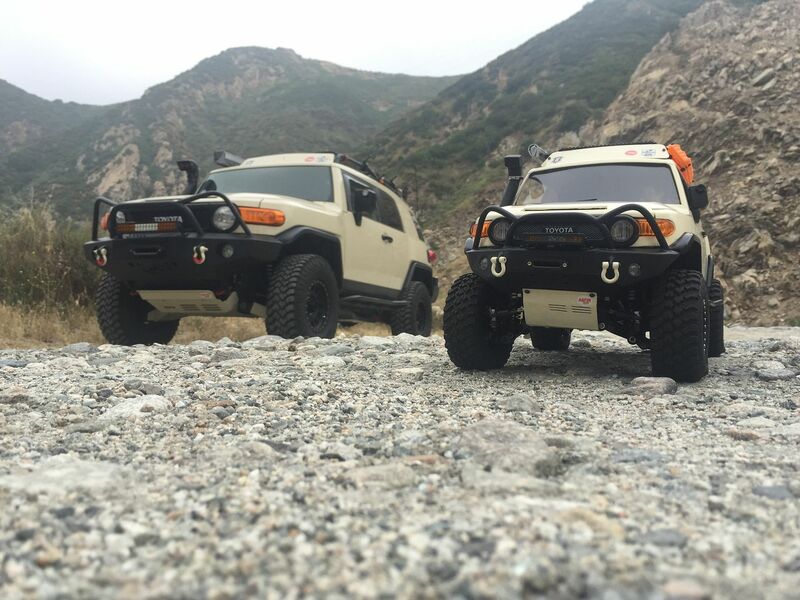 Wow simply amazing. 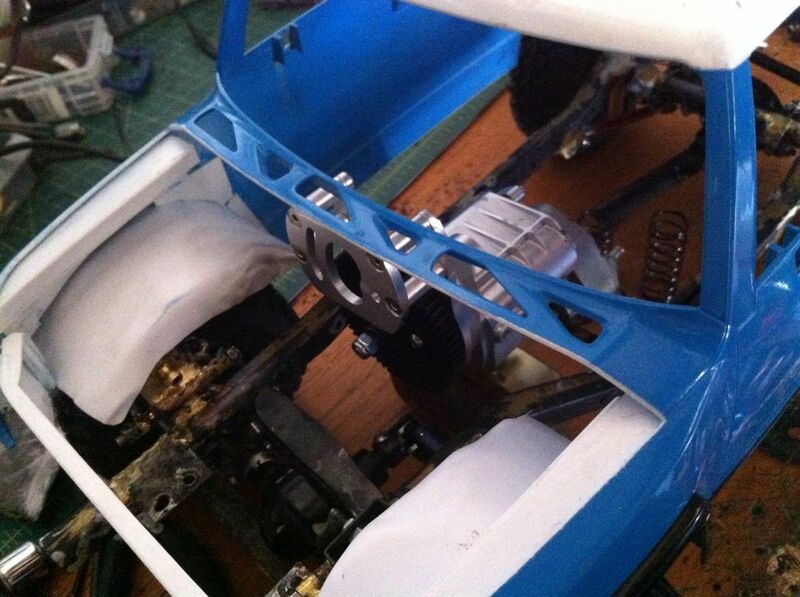 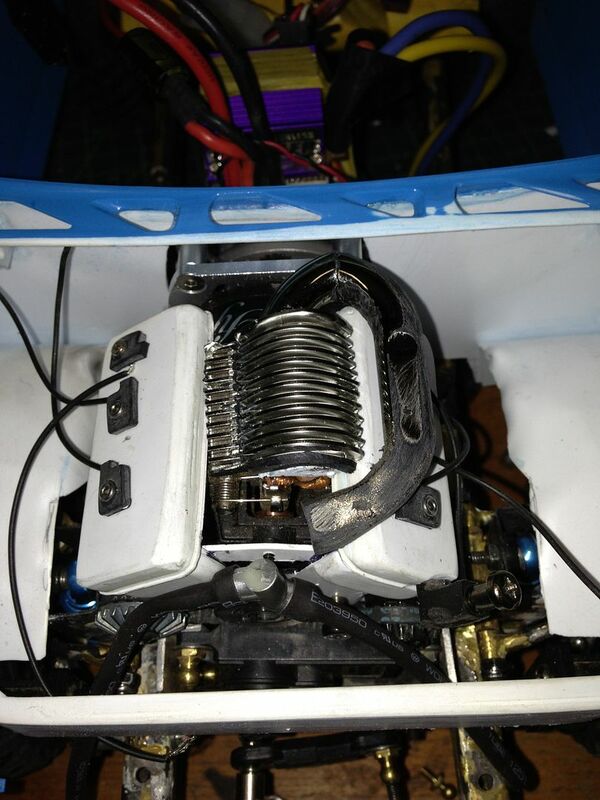 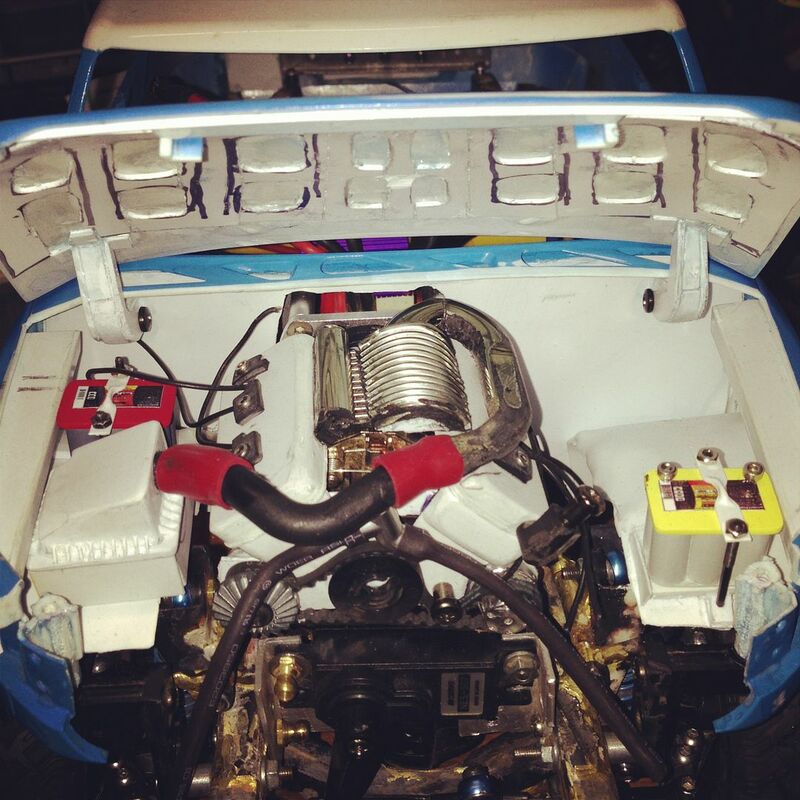 The engine bay is sick and I really like that diff skid! 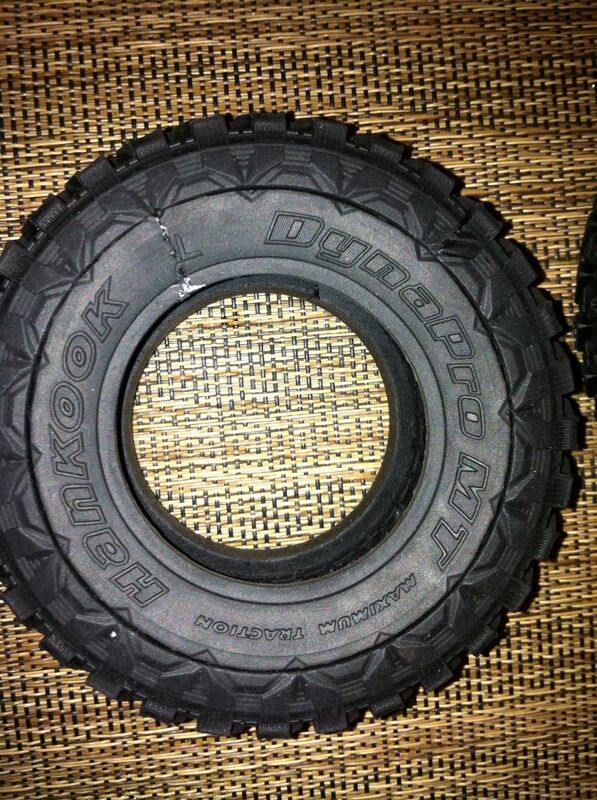 I have 295/75/16 hankook dynapro on my 1:1 and axial make them. 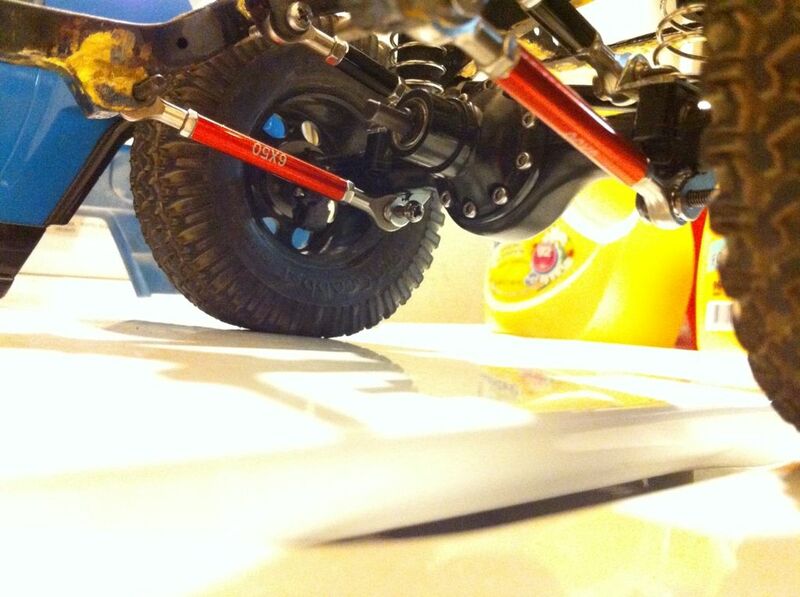 its a stock tire for Axial exo. 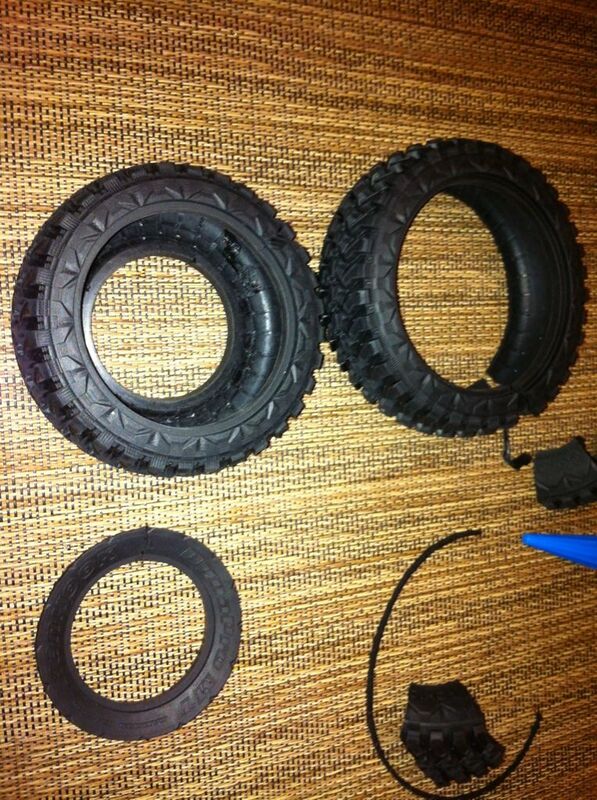 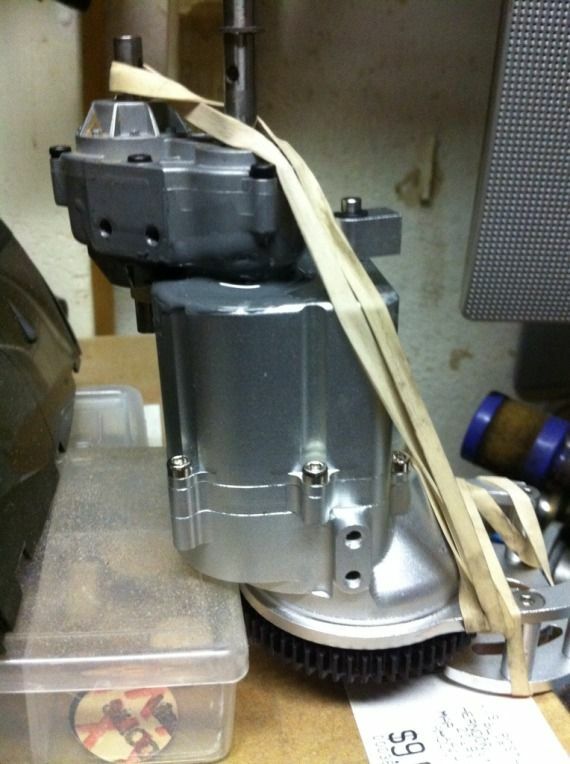 so i need 8 pcs to convert it to 1.9 size and to fill up the 3.0 inner side. 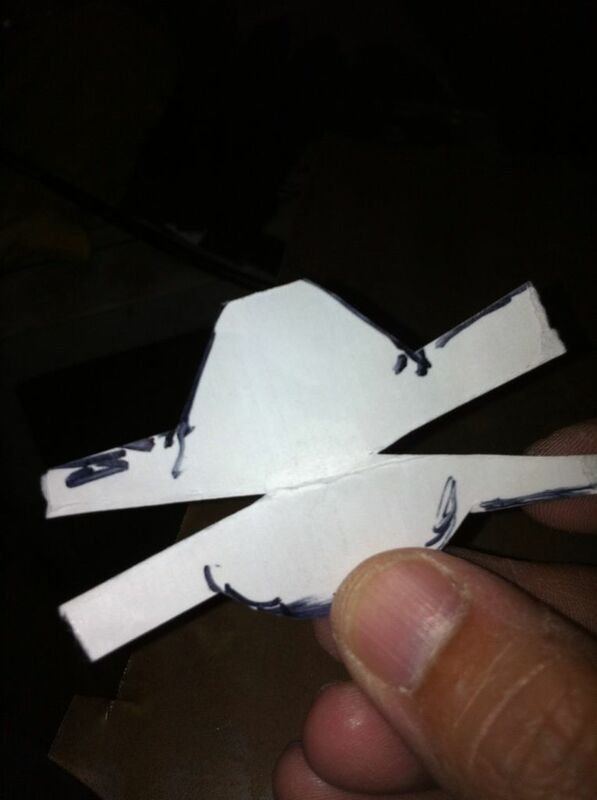 That's how you blow people's minds everyone! 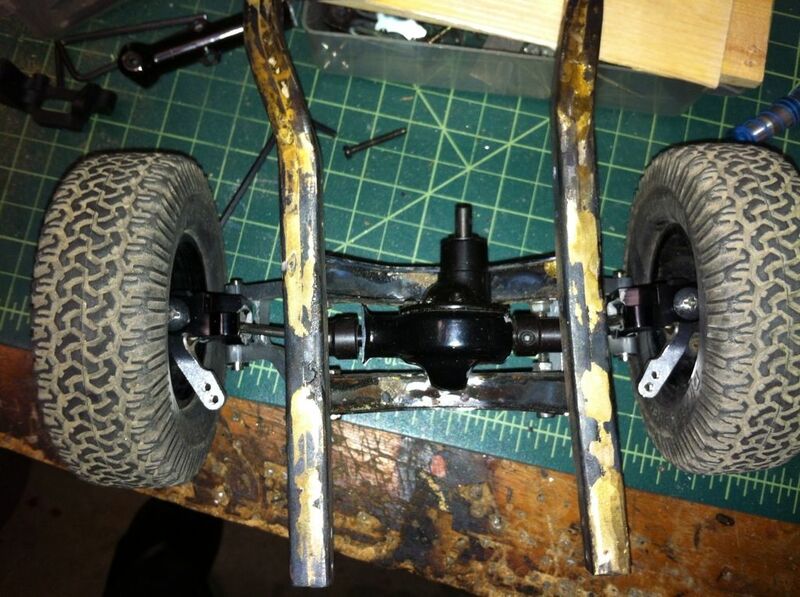 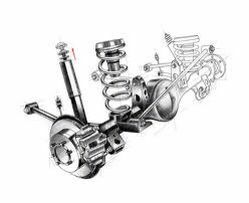 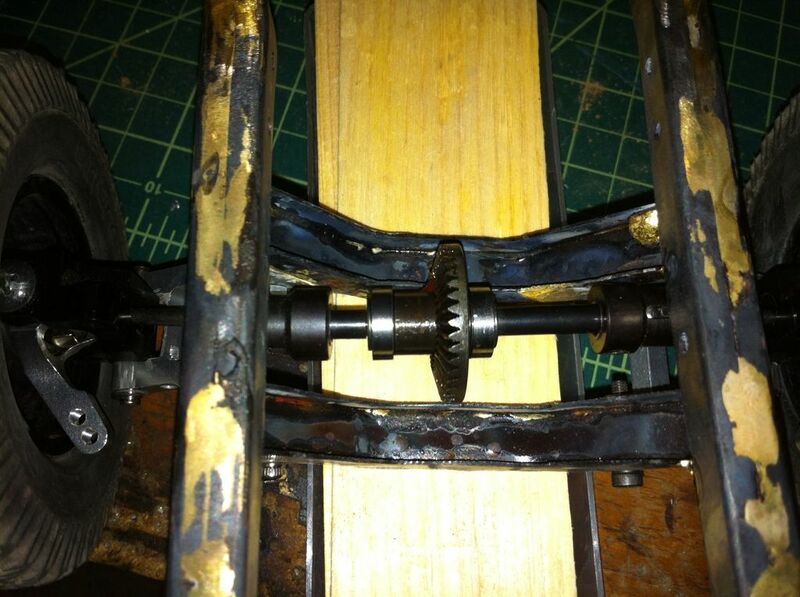 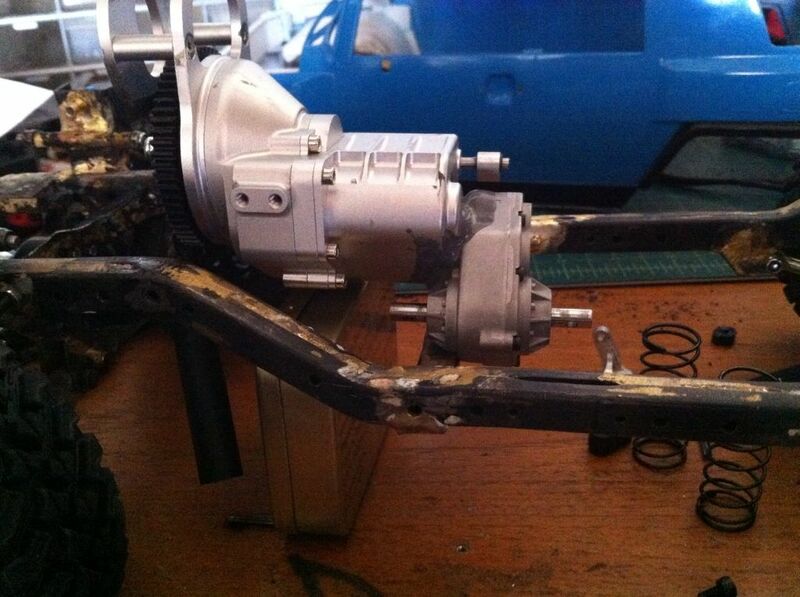 transmission and transfer case skid all done. 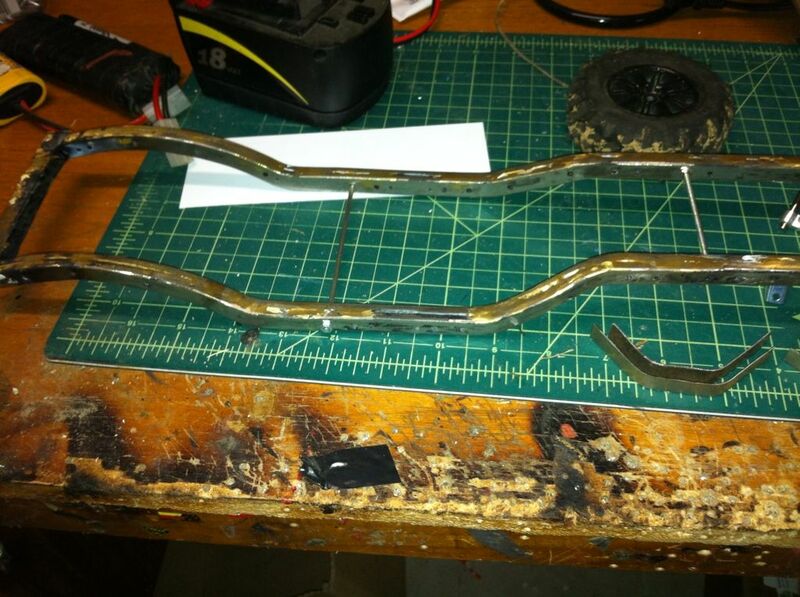 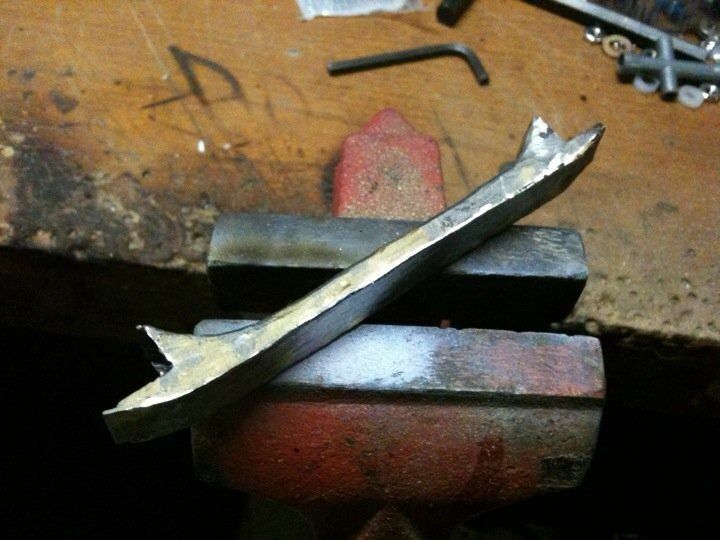 time to fabricate my exhaust. 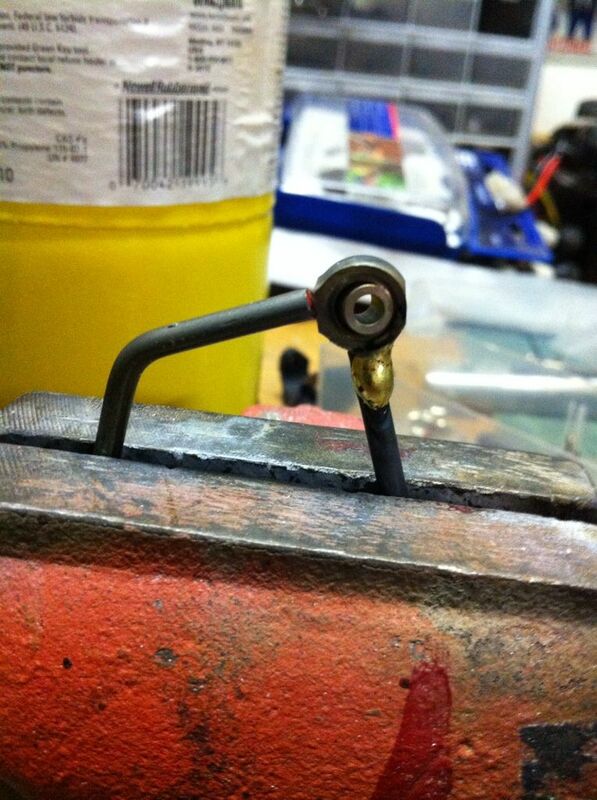 will be using 3:16 brakeline.